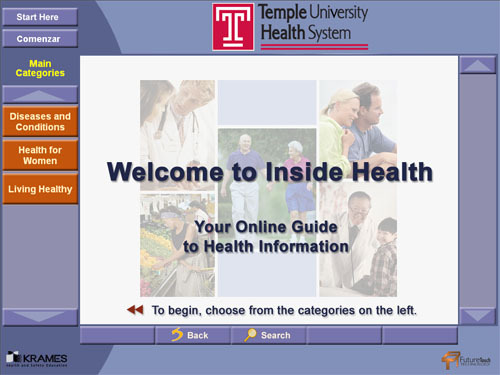 Temple University wanted to provide their paitents with faster and more in depth medical education and information. The Krames/FutureTouch Educator product provides information on hundreds of the most common ailments and patient questions via a user friendly touch screen interface. Educator also allows the content to be printed so the patient can take it with them. Five SecurePoint and two Vista kiosks provide this information.